There have been far too many “favourite moments” in the last 9yrs. Every lunch club, holiday or company night out gives me a new favourite moment. As the director, my proudest achievement in recent years has been to see both our turnover and profit increase, year-on-year. This has happened because we have built great relationships with our clients and over 66% of our business is infact repeat business from them, which is a testament to the people we have working for you as and the level of service we strive to deliver. The low turnover in staff is a testament to the training, support, structure and environment that we have on offer at Avanti. If you are looking for a company which will commit themselves to you and your development, then Avanti is the right place to be. We have worked very hard to create a business where through a fun and positive environment, all of our employees have the opportunity to create the career that they want and in turn will be recognised for their hard work, commitment and achievements. 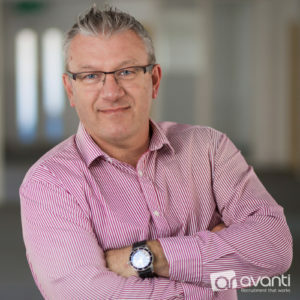 Our recent growth and success makes Avanti one of the industry’s fastest growing, most exciting recruitment companies and this is thanks to the people we employ.